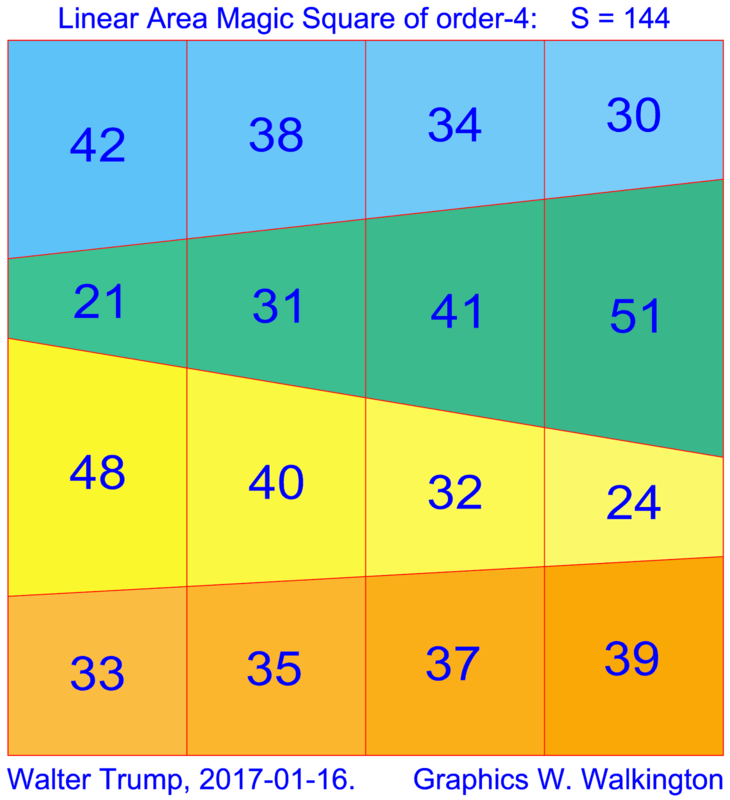 The linear area magic squares (L-AMS) of order-4 with vertical or horizontal lines have not only interesting geometric properties, but also surprising arithmetic features that are even more exciting. 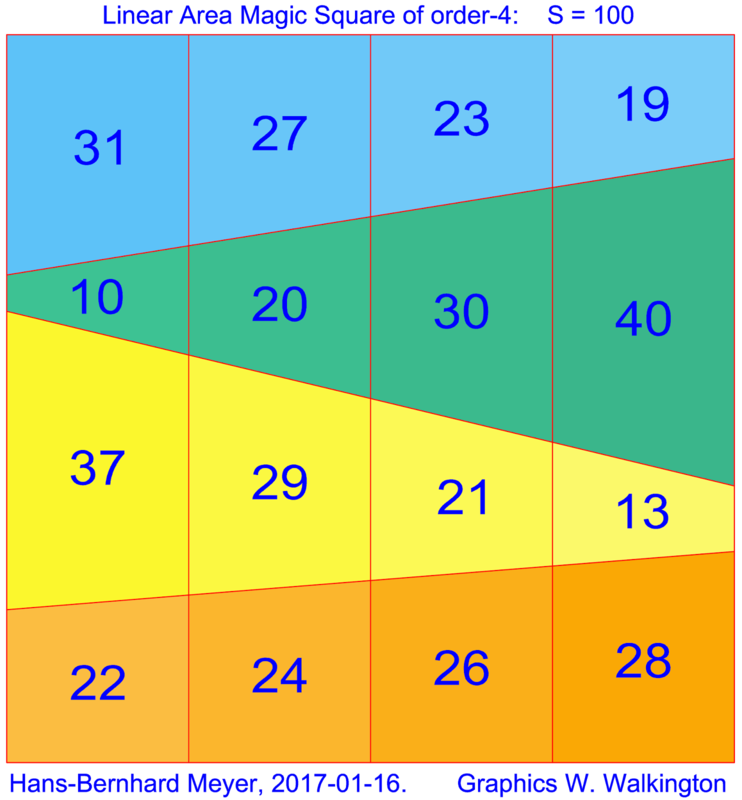 On the 8th February Hans-Bernhard Meyer informed me that the number and the structure of the fourth-order L-AMS with 3 horizontal or vertical lines had been totally clarified by parameterisations with 3 parameters, although this was not yet the case for L-AMS with only 2 horizontal or vertical lines. 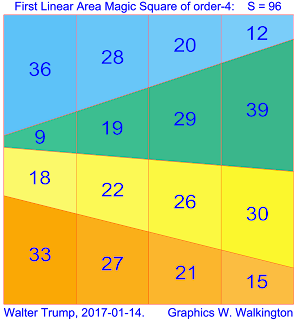 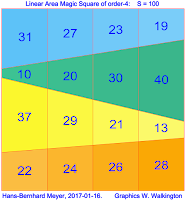 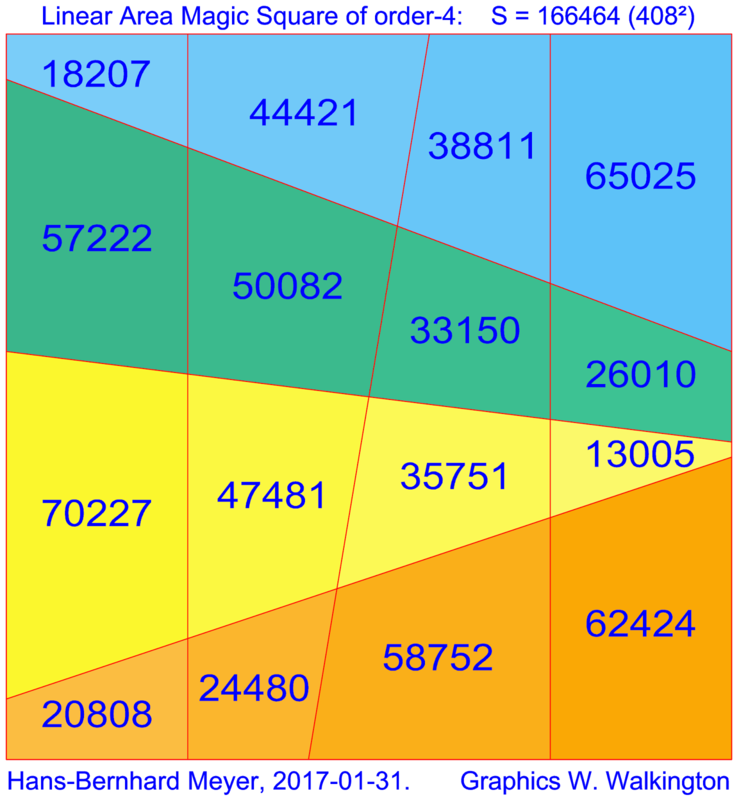 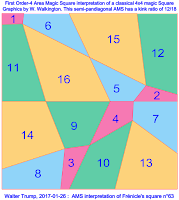 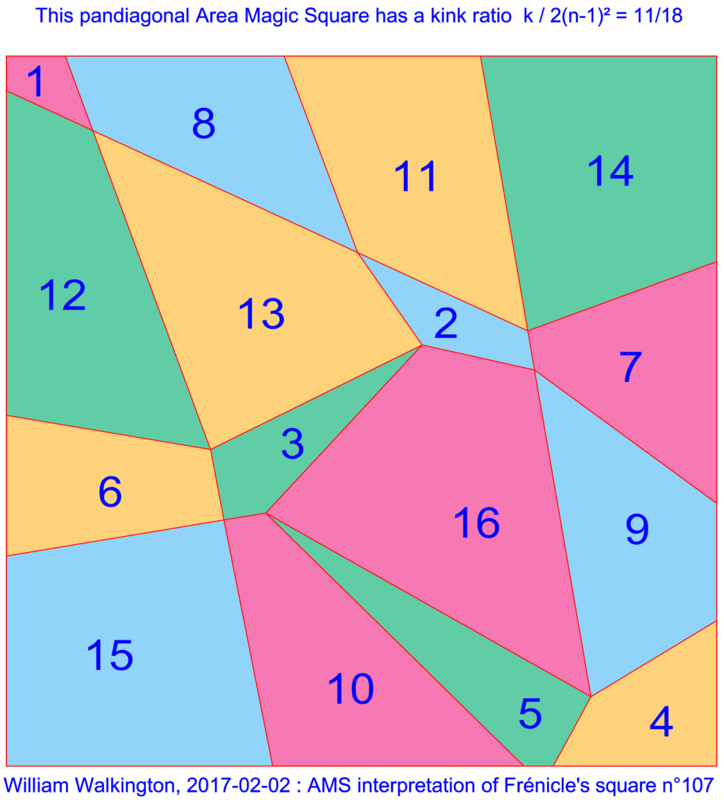 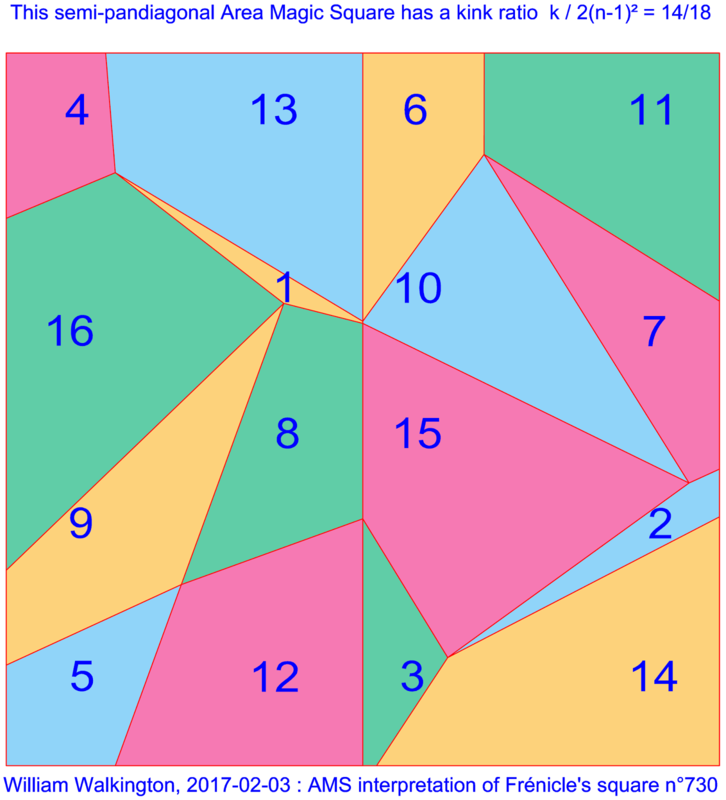 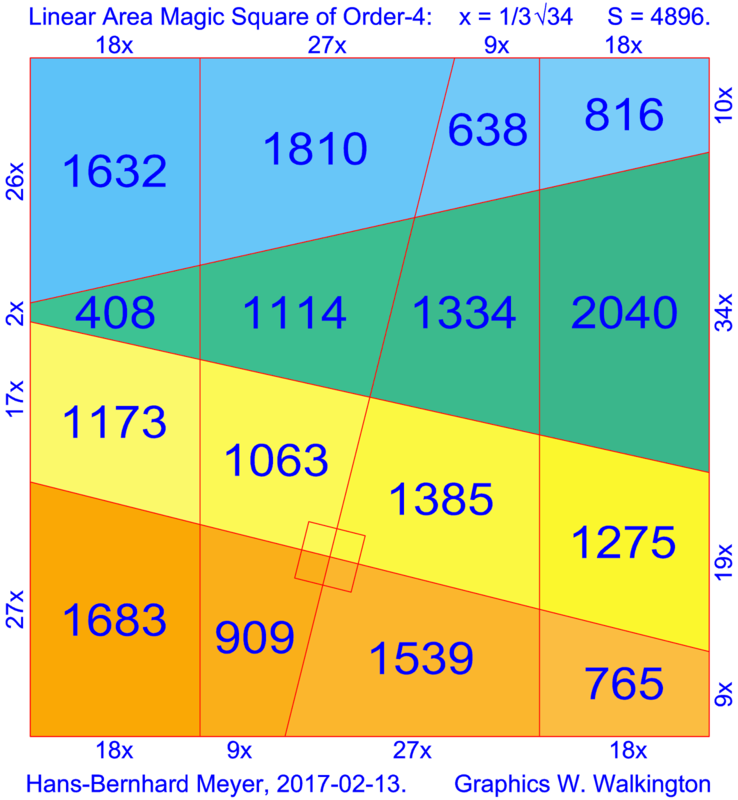 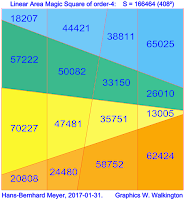 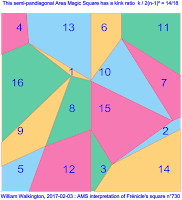 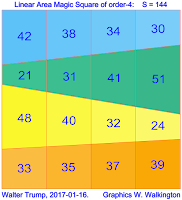 For full details of the mathematics behind these area magic squares please refer to the related links at the foot of this page. 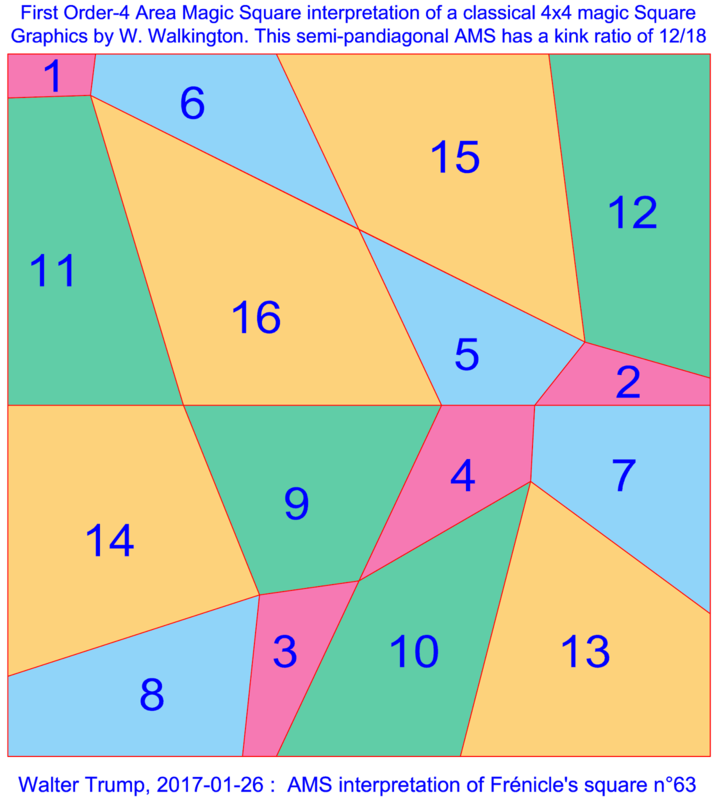 Congratulations to Hans-Bernhard for this interesting square! 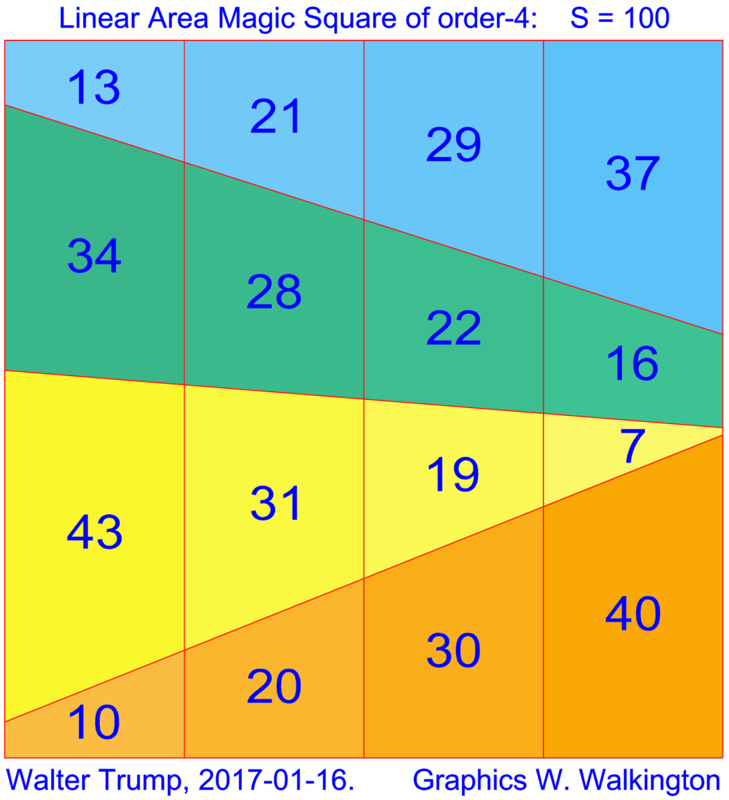 Concerning the possible existence of L-AMS of order-4 without vertical or horizontal lines, on the 12th February 2017 Hans-Bernhard informed me that this question was still quite difficult to resolve. 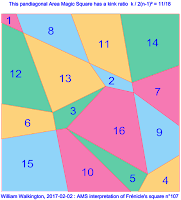 Since the 3rd February 2017, full details of the findings of Walter Trump can be found in the chapter "Area Magic Squares" of his website: Notes on Magic Squares and Cubes. 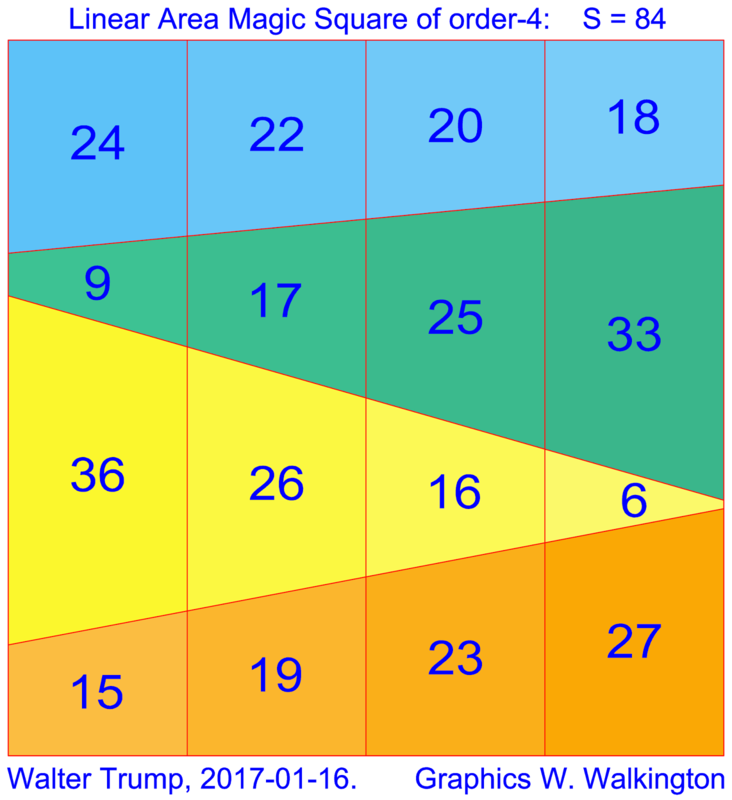 Since the 25th January 2017, full details of the findings of Hans-Bernhard Meyer can be found in the article "Observations on 4x4 Area Magic Squares with Vertical Lines" of his website: Math'-pages. 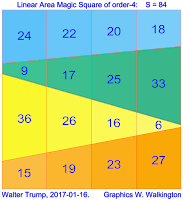 Since the 25th January 2017, "Area Magic Squares of Order-6" relates the first findings of area magic squares of the sixth-order. Since the 13th January 2017, "Area Magic Squares and Tori of Order-3" relates the first findings of area magic squares of the third-order. I have now corrected the image, and I wish to thank you for pointing out this out!